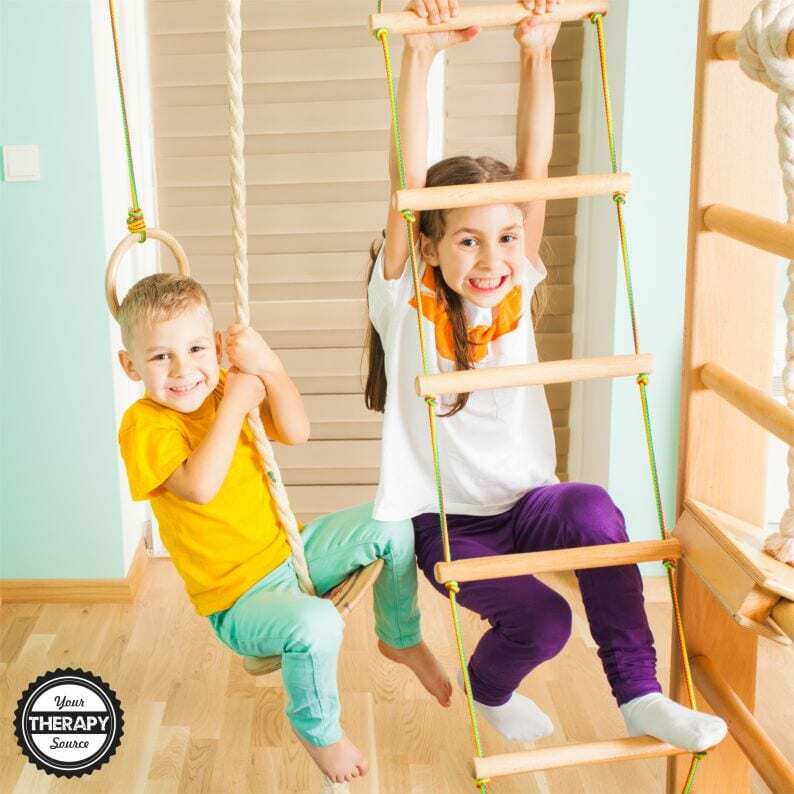 Weight bearing activities through the arms – animal walks, wheelbarrow walking, crawling, planks, and wall push ups all help to increase muscle strength and improve coactivation of the shoulder and postural muscles. The Handwriting Book is designed to be an effective, easy-to-use resource for any parent, educator, or therapist. Ideas for activities, strategies, modifications, and adaptations for children of all ages are included alongside explanations of each aspect of handwriting. Each chapter includes helpful therapist tips to make handwriting practice more engaging and fun. 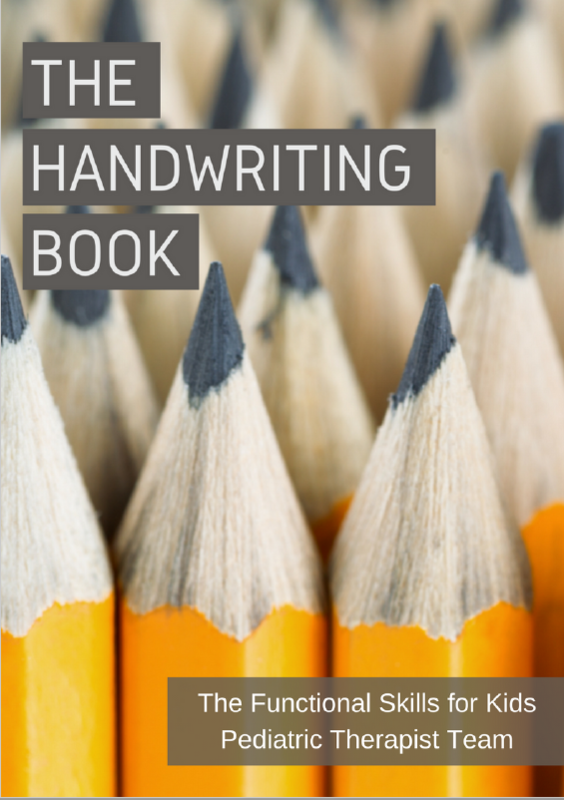 Written by a team of 10 pediatric physical and occupational therapists with years of experience in the field, The Handwriting Book is the ultimate resource for tips, strategies, suggestions, and information to support handwriting development in kids. 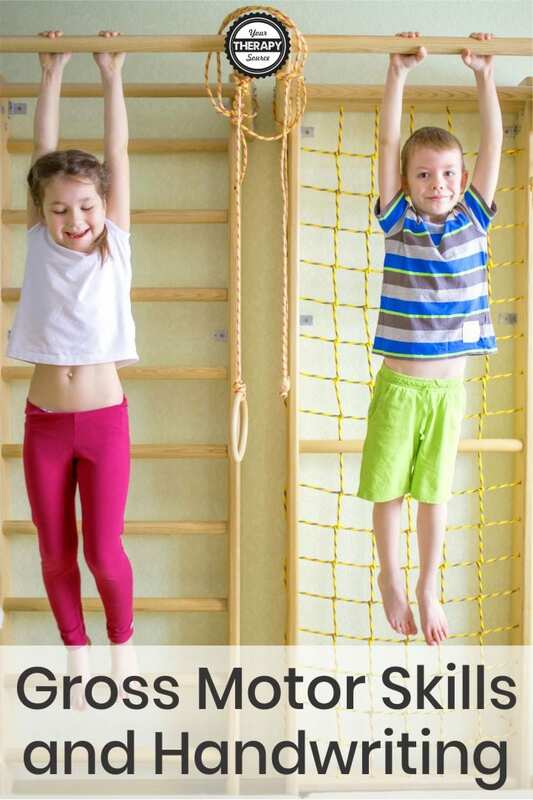 The 9 chapters include the following topics: Developmental Progression of Pencil Grasp and Handwriting Strokes, Gross Motor Skills and Handwriting, Fine Motor Skills and Handwriting, Sensory Considerations in Handwriting, Visual Perceptual Skills and Handwriting, Tips for Size, Alignment, and Spacing in Written Work, Engaging the Reluctant Writer, Combining Handwriting and Play and Activities to Practice Handwriting Skills at Home. Also includes Resources for Adaptive Handwriting and Equipment, Materials, and Further Information. ML Kaiser, JM Albaret, PA Doudin (2009) Relationship Between Visual-Motor Integration, Eye-Hand Coordination, and Quality of Handwriting. Journal of Occupational Therapy, Schools, & Early Intervention. Volume 2, Issue 2. Peper, C. E., & Carson, R. G. (1999). Bimanual coordination between isometric contractions and rhythmic movements: An asymmetric coupling. Experimental Brain Research, 129, 417–432. Tseng, M and Murray, E. (1994). Differences in Perceptual-Motor Measures in Children with Good and Poor Handwriting. OTJR: Occupation, Participation and Health January vol. 14 no. 1 19-36.